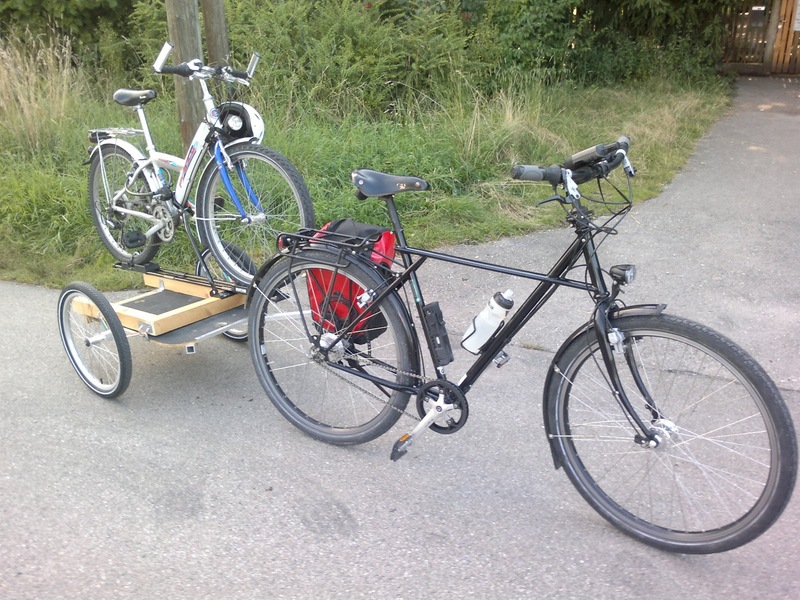 This is the world's first bike carrier on a bike trailer. I'm using a "Carry Freedom Y-Frame" trailer made in Scottland. It carries up to 180 lb! The self made frame has a humble bike carrier for transport on car tops screwed on. Works fine!